What is sweet potato toast?! 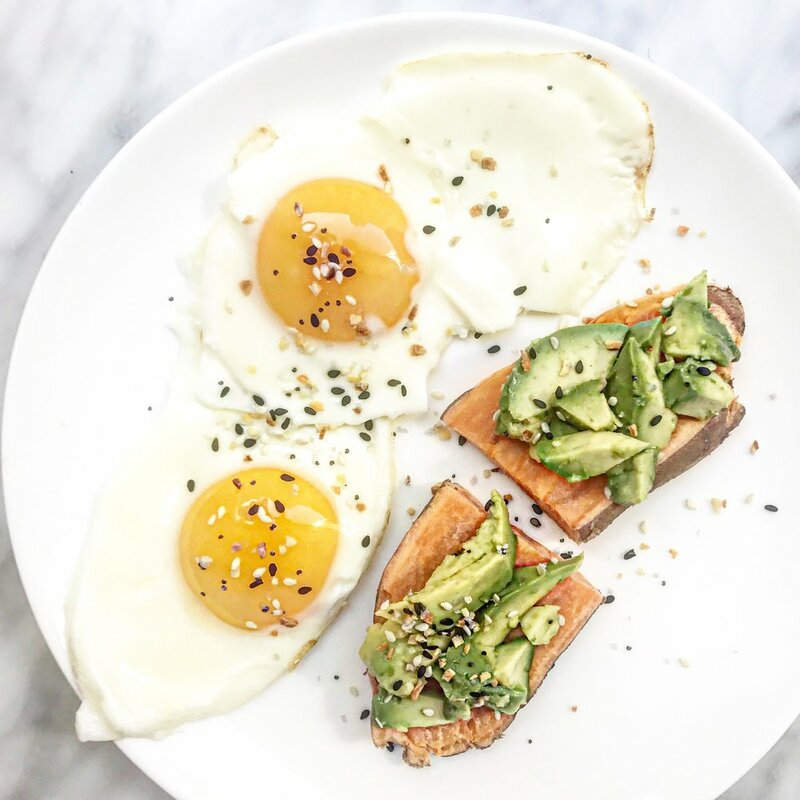 It is exactly what it sounds like – sweet potato used in the form as toast aka a vehicle for all the goods/toppings (i.e eggs, avocado, nuts butters – the options are endless!). This first started trending in the blogosphere last year (2016), but became more mainstream at the start of 2017. It is definitely a trend I’m down with and has become a weekly staple for me as parts of meals and snacks. 1. Cut a sweet potato the long way into pieces with a large surface area (can store in fridge in airtight container for ~1 week). 2. To heat up: either pop in the toaster (I don’t have one – so I use my oven ~350 F for ~10 minutes with a little olive oil). If I’m going for a more sweet toast versus savory I add cinnamon with the olive oil (especially love this combo with almond butter).